PFA Player Of The Year Shortlist: Rooney, Drogba, Fabregas, Tevez – Who Deserves It? There is no debating this season’s PFA Player of the Year award. There can be only one winner, and that’s Wayne Rooney. Wazza heads a four-man shortlist (reduced from the usual six) that also includes Didier Drogba, Cesc Fabregas and Carlos Tevez. It’s a strong list but Rooney is miles ahead and a shoo-in. Somewhat bizarrely, Rooney also heads the Young Player of the Year shortlist: Rooney, Fabregas, Joe Hart and James Milner. Now obviously Rooney deserves to win that too, but I’d love to see either Milner or Hart honoured for their outstanding displays this season. If I was a betting man I’d back Milner, who is a popular player and much-improved this year. Any other year I’d give it Fabregas as he’s hauled Arsenal up by the haunches this season, but I’m afraid Mr Rooney’s got it sewn up. It seems a little insulting to give ‘Cesc the young player award as he has (regardless of age) established himself as the most ‘senior’ member of the Arsenal squad without a doubt – so my vote goes to The Milnfish. 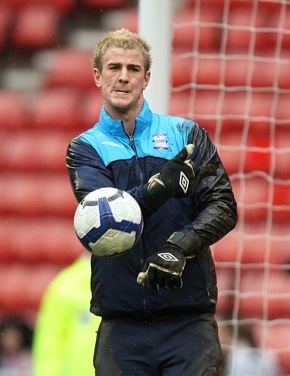 Yet Joe hart wont be number 1 for england. Instead we will settle for Green’s 1 in 3 game howlers. Hart is a mile ahead of Green. Experience isnt worth anything if you dont have the ability. Wish Capello would give hima chance! Its got to be Rooney! Then Milner for the young players. He has been outstanding this season. He has played all over the park as well. Why is Jack Rodwell not even considered? He has been brilliant this season! @Simon: Rodwell probably was considered but just didn’t quite make the four-man shortlist (although he would almost definitely made a six-man list). If you look at it subjectively you can’t deny that Rooney, Fabregas, Hart and Milner have all been consistently better than him this season. I’m not sure why Rooney is a shoo-in this season. OK, he’s probably generated more headlines, but the stats show that him, Drogba and Fabregas are pretty much inseparable. I’d give it to Drogba, as he seems to prove himself in the big games more often. the categories don’t make much sense, if rooney of fabregas wins player of the year then they HAVE TO, by definition, win young player too, otherwise it means whoever wins it is better that the best player. 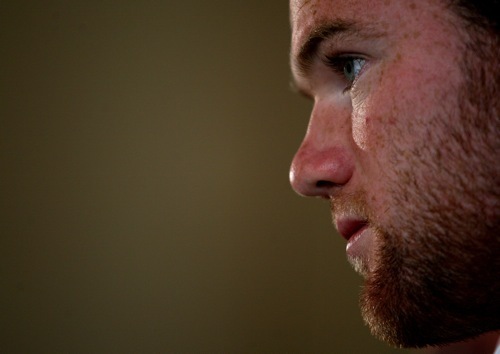 i wonder what the result would be if Rooney was a foreigner like the others. Drogba missed December through injury and January due to ACN, and only 1 goal behind. Bunch of rednecks on this blog, aways looking for the great white hope!